Facing a new year, it’s easy to be intimidated about web development projects. In fact, business owners today almost have to stay nervous about their organization’s web presence, lest they get left behind. Exciting and inspiring as our resolutions for 2015 might be, there’s always a lot of noise out there suggesting that we might be falling behind. I’ve always found solace in those words. Adams was a master of satire. But what always stuck out to me was how he playfully explored a universal theme. He knew that, at one point or another, all of us can feel a bit overwhelmed by an ever-changing world. 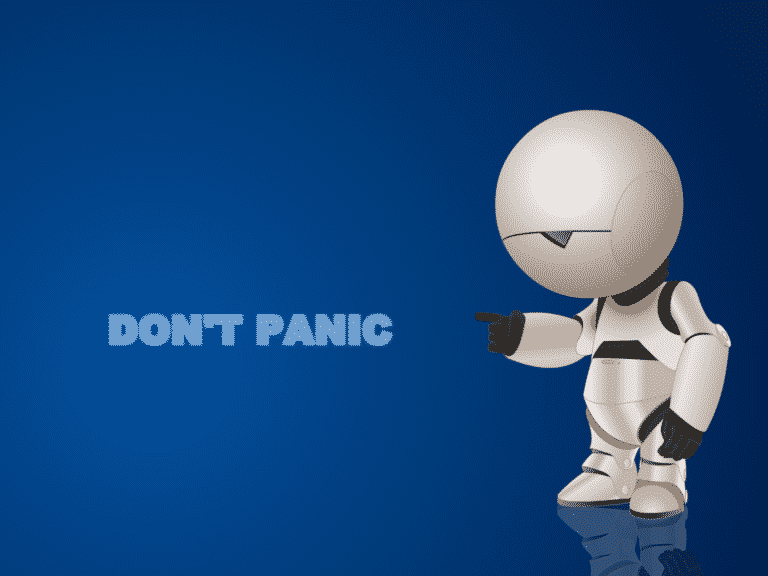 Naturally, “Don’t Panic” are the sage words of wisdom written across the front page of his Hitchhiker’s Guide to the Galaxy. It’s simple, blunt and maybe even perfect advice. 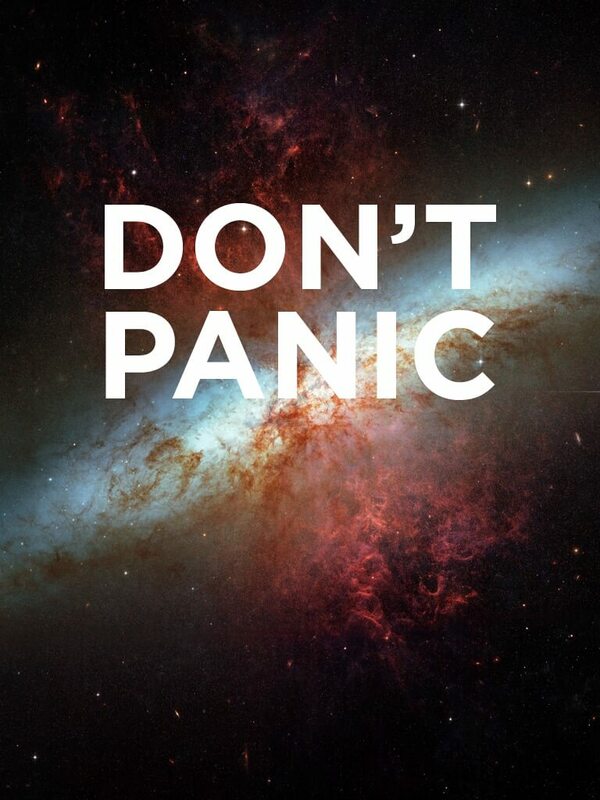 In fact, it’s my message for anyone fretting about the future of their web development. You’d have to have your head in the sand not to notice that this past year was filled with stunning new web services that will affect just about every industry. Conversely, there were also a number of high-profile cyber attacks. Sure, The Interview and North Korea were getting all the headlines at the end of 2014, but how many people do you know personally who were victims of anonymous cyber-attacks large or small? A few? More than a few? Dozens perhaps? 2014 proved to us that the web space can be as dangerous as it is complicated. Taken all at once, the past year made a strong case that 2015 is also sure to present countless ‘game changing’ web developments as well. Faced with all this noise, you can’t help put wonder if your business’s web-based infrastructure is as robust and impressive as it could be? Rapidly evolving design standards ensure that it is rare to ever be fully satisfied with your website or app, not to mention your internal applications. Let’s try an experiment to see if we can really get your panic attack started. Just for a second! How is your site’s SEO performance? Does your site’s user-experience oriented design improve your SEO performance, as proven by Google Analytics? Does your website offer e-commerce functionality? If so, is it working perfectly? Which of your service offering(s) do site visitors routinely miss? Does each aspect of your customer relationship management system integrate into your site and staff processes seamlessly? Starting to feel dizzy? Feeling swamped in question marks? Will people actually download that expensive new app you’re thinking about building? And how well would this app integrate with your existing site features, anyways? Oh, hold up… do you currently have a website but not an app? Is your business considering a custom app? Most business’s don’t. But who hasn’t considered building an app for their business? Should you start budgeting for an app!? Custom apps are a great example of a web development project many businesses and organizations considered in 2014. The reality is a lot of folks out there have been trying to bite off more than they could chew. With some consulting and a phased approach, development projects can be smaller (and far more manageable!) than all the noise suggests. Let’s take a closer look at this app example. Should we panic if we don’t have the budget for an app right now? It’s certainly true that a custom app can be a great value add for your business. Many app services can even open up new revenue streams. They can even help to strengthen your customer’s engagement with your service offerings. Yes, there are thousands of web development considerations to keep you up at night. But most of them really are designed (and often pitched) as more vital and/or more complicated than they have to be. In 2014, most reports suggest that we officially access web pages more via mobile devices than computers. In 2015, these figures will push firmly into mobile. So does this mean that you need an app immediately? Before even thinking about an app, and perhaps even instead of building an app, it’s vital that your core website is optimized for mobile browsing. In 2015, not every business will need an app, but every website really should be optimized for mobile browsing. Indeed, a site that functions smoothly via mobile browsing is often more practical than a dedicated app. Is your site optimized for mobile browsing? If not, or if you are unsure, this should be a simple focus to begin 2015. There may come a day when most business services are accessed through apps. But right now, in 2015? A mobile optimized site is far and away your first priority. If your core business deliverable and/or revenue stream isn’t from an app service, the vast majority of your mobile traffic will be directed through your core website. And site visitors will be turned off by a non mobile-optimized site. Most folks browsing the web don’t care if a dedicated app isn’t an option. Again, it’s true that an app might help you gain a customer or build a stronger connection as a value-add for customers. But a non-optimized or poorly optimized site can actually help you lose a customer. So what’s the take away here? What’s the good news? Building a customized app from the ground up can be costly. Optimizing a site for mobile (and tablet) browsing is a relatively minor expense. This is just one example for how some general consulting could help you see the individual trees instead of being overwhelmed by the site of the entire forest. A trusted developer can help you can feel more confident about the direction of your business’s web presence. Of course, there are trends that can’t be ignored. Business owners will still have to pay attention to these trends, taking action where necessary (such as with optimization). But it’s never quite as scary and dramatic as it seems. Your infrastructure needs to walk before it can run. Take a look at the larger universe of development options. But keep your feet firmly planted. Just be ready to face what’s right in front of you and your organization.